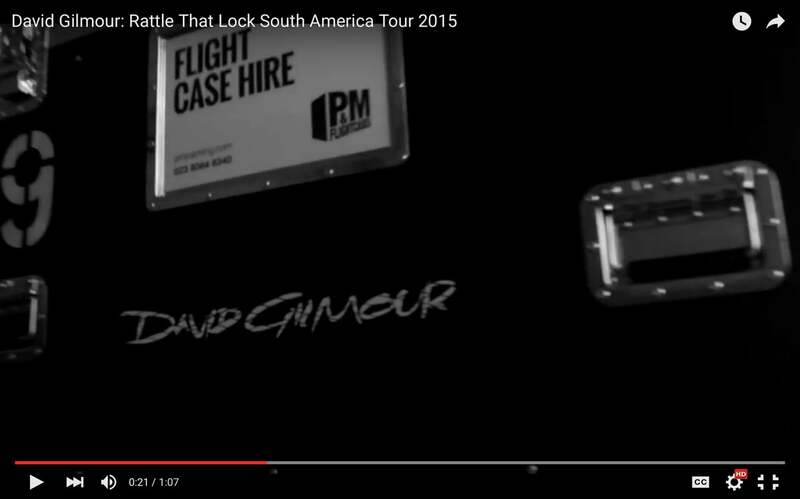 David Gilmour toured his ‘Rattle That Lock’ solo album through Brazil, Argentina and Chile in December 2015, grossing $25.7 million in ticket sales. With six performances in five cities between 11th and 20th December, keeping instruments and equipment safe and secure is vital, so P&M Packing were delighted that their cases were chosen for this important role. U2 are among other leading bands to use specially-made P&M Packing flight cases on tour. If this service is of interest to you, please call us on +44 (0)23 8064 6340 for more details.